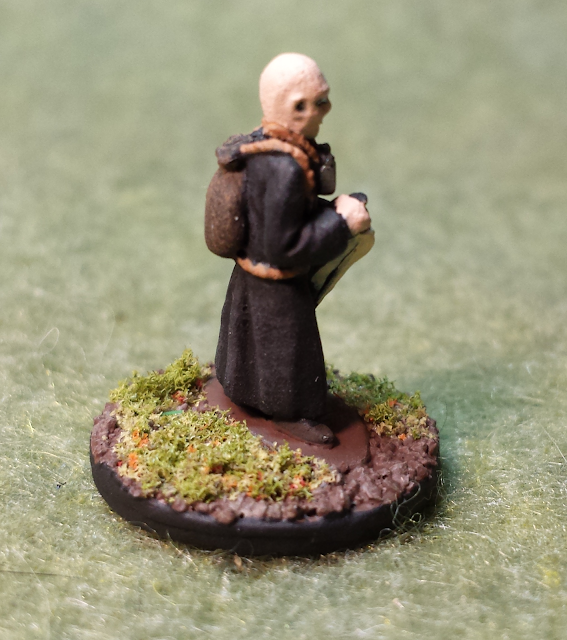 Since I am the only player in JADE's 1st ed AD&D Campaign Hymns of a Vagabond, I discussed with mm DM having access to a decent amount NPC's as hirelings or companions to accompany me on my journey. 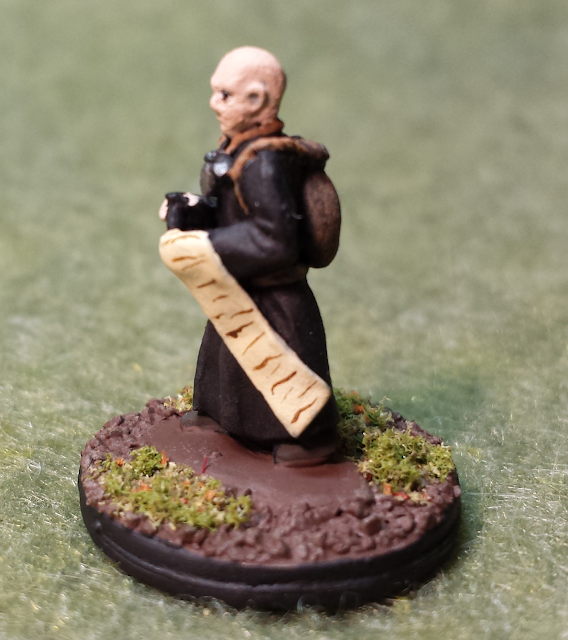 One of the first NPC's I encountered (and that was willing to come long for the trip) was a novice priest named Gesen. Gesen grew up in the same town that my player characters (one died already) did, and was willing to explore the world with me. 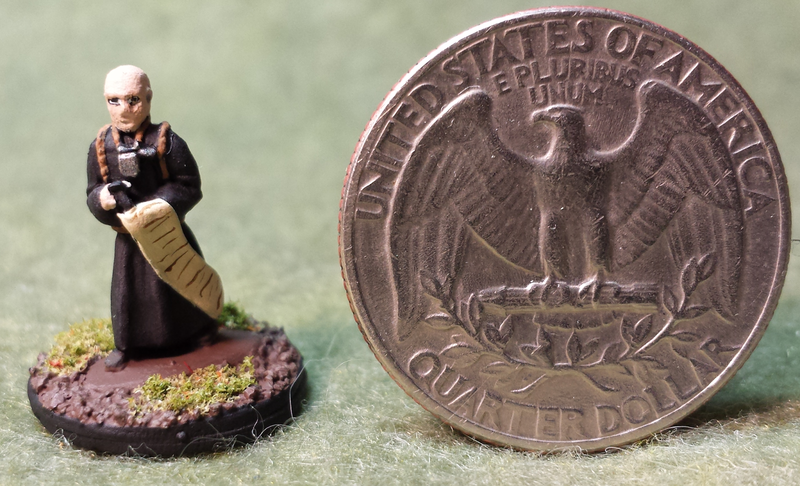 Finding a mini for Gesen was easy. 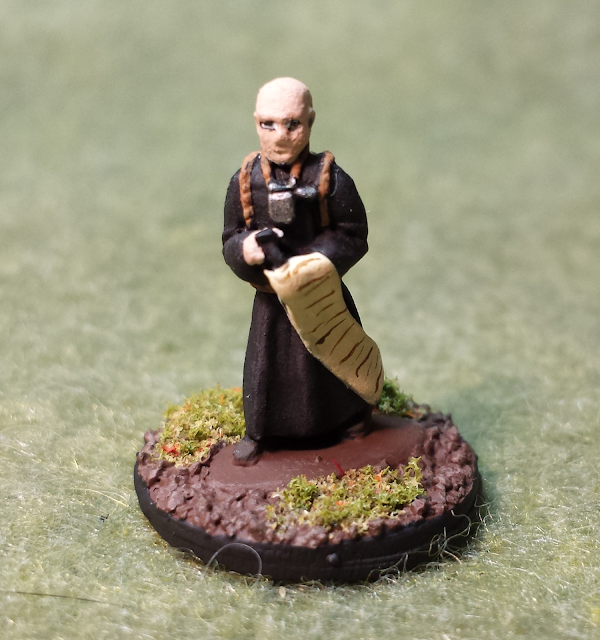 This one came from Splintered Light Miniatures, and cane be found in there 15mm Henchman collection. As soon as I saw that mini I knew that it would be perfect for Gesen. He also kinda remind me of One Punch Man. Gesen is a quiet person, and only recently became a full-fledged cleric. He decided to leave Carthen after witnessing the death of Akelius Flint's mother at the hands of a mob who accused her of being a witch. Flint and Gesen had long been close friends, and the incident with his mother was enough to set him over the edge. He decided to leave his sheltered life behind, and join Flint, and their friend Sen on their adventure exploring the world before them. 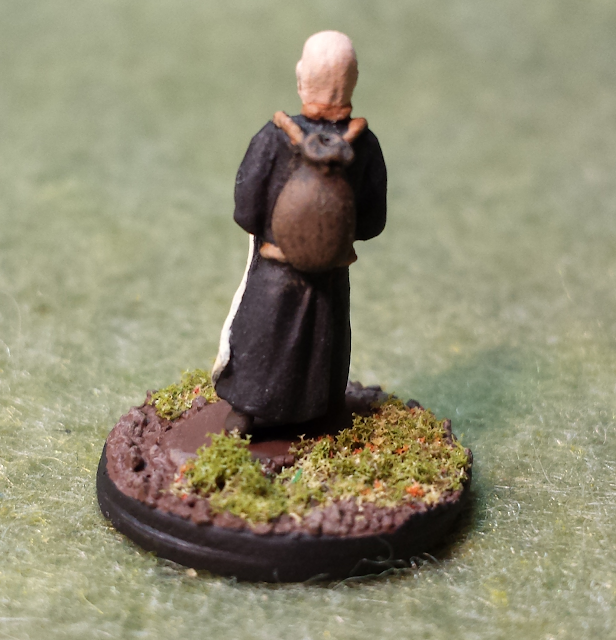 Gesen has already been in two games, but I just got his player character finished. But you will see him in his full glory in up coming write-ups of Hymns of a Vagabond Game 1 and Game 2, and games to come!